And another week bites the dust. Some of you may have noticed that our forums went down for a few hours earlier this week. That was due to the maintenance I spoke about during the last weekly update. I'm thrilled to report that the last of the forums issues caused by our outage in September have been resolved. 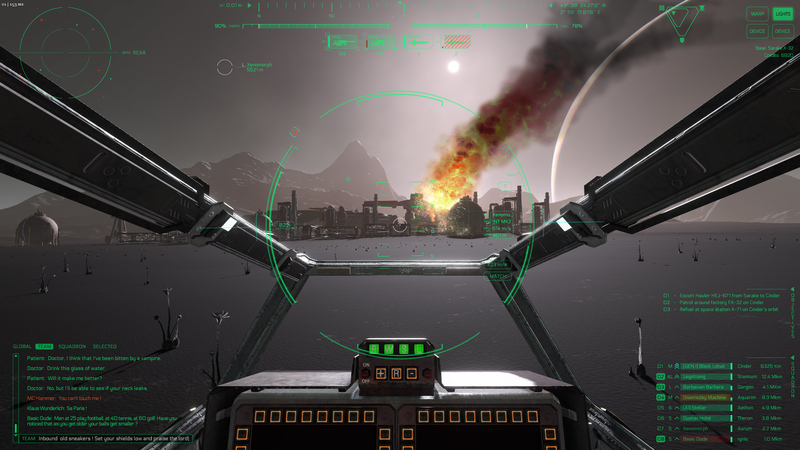 Over the last few days we've spent a lot of time thinking about the HUD of which you can see the latest mockup above. Our guiding theme for the SFC faction is balancing 80's industrial sci-fi with advancements in technology you could expect way out in the future. To that end we want our HUD to be a blending of what you'd see in modern military aircraft and futuristic elements you would need to make newtonian spaceflight manageable. You'll notice in the top left corner we have radar similar to what you'd find in many other space games. This is just a placeholder as radar is currently one of the least defined systems in the game. We expect it will morph heavily over time once we get into Alpha. 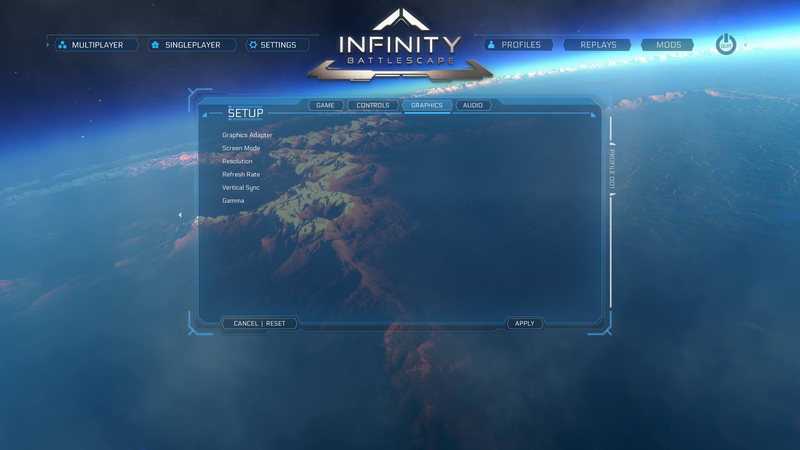 We've also done some mockups of the main menu system. You'll notice from the picture above there's nothing particularly glamorous about them. We've discussed the possibility of zooming around the solar system as you open different menus but that will likely depend on how much time we have during the polish phase (probably not much). A couple of new patches have been released for the I-Novae launcher and the installation runtime over the last week. We're fixing problems and releasing patches as backers find them. Unfortunately this has come at the expense of finishing the pledge upgrade system however we're currently only aware of 2 remaining outstanding issues with the installation runtime so we'll be getting back to the pledge upgrade system shortly. 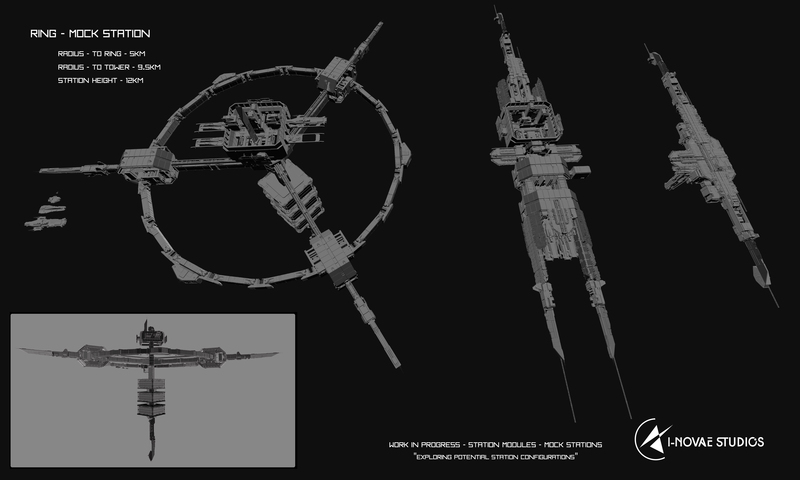 A lot of backers have been asking us when it'll be ready and it's one of our top priorities. To summarize we're currently finishing up the networking improvements and pledge upgrade system. Once those are complete we'll be moving onto implementing weapons, our new menu/HUD system, and incremental patching. Fantastic concepts! I particularly like that station with the ring. 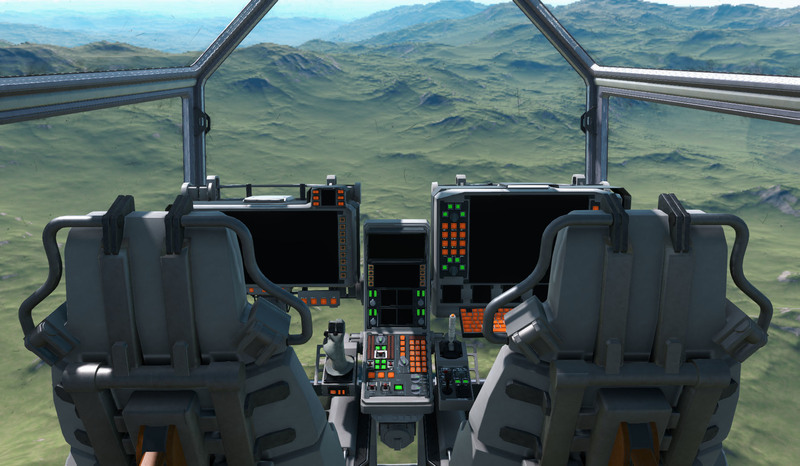 Any plans for those cockpit MFDs? Shared to ED, SC, LTT, Guru3d and Descent Underground forums. Could always shift to bi-weekly updates if it makes things easier. Looking good. Really like the feeling of the menu mockup. Would the planet in the background slowly turn? Could lead to some situations, where the planet makes it hard to read the menu. I think it would indeed be awesome if the menu background was displaying a live view of the gameworld. The view could be placed at fighting locations so we would see live battles in the background. I really like the hud design so far, the style fits the ship design nicely. Do you plan to display something on the ingame monitor panels? Right now they are black but it would be cool if they displayed unimportant ship stuff to make it seem more real. Like for example an attitude indicator. Sleek, informative/functional.... just WOW. It evokes Freespace memories - and that is a good thing. But, please can i ask not to forget about scaling for all the different screen aspect ratios. I guess there is not much of us on this planet, but still: currently 5:4 aspect ratios make HUD elements deformed. That mock-up of team chat looks surprisingly accurate for this community. Shared to reddit. Looking really nice on the HUD. We've discussed the possibility of zooming around the solar system as you open different menus but that will likely depend on how much time we have during the polish phase (probably not much). Aim that for Beta. It might seem trivial. But since you have the "no loadingscreens" moto. Having the actual Solar System being rendered in the background would allow you to have only the single starting loading screen. Hell you could have players access the main menu while the game is still loading the assets. Planetside 2 doesn't do this. I bet they'd like to but can't due to the different continents the player has to choose from. Absolutely brilliant on all fronts. And I LOVE the ring station!!! It would be pretty cool if you guys do make it to were you can spin around and jump to planets and moons in the main screen that you can see random past battles taking place. Hehe I would probably watch thsm for a bit before jumping into a game. Here's a suggestion for a base. How about bases hanging over and onto the sides of a cliff or deep valley. Built into the side of a steep cliff face (link) going up and over onto the top of the cliff edge. Cliff top Base above was featured in season 2 of Killjoys. Absolutely. Bases sticking off the side of a cliff or steep slope of a mountain would be very cool. Reminds me of the Time Machine film when he ends up in the distant future.